The Artists Formerly Known As The Connection Machine (Utrecht, Netherlands) go raw and mean on this one! 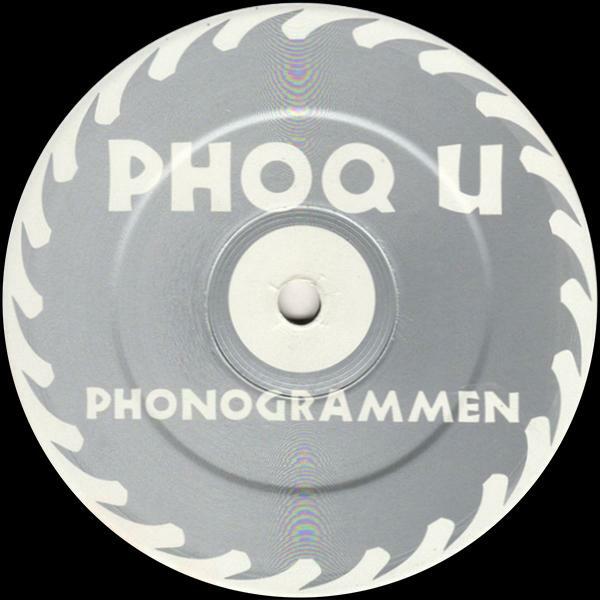 If the underground The Hague-style from the 90s is your thing, this 12" is your cup of tea. 4 hectic 808/303 trax, all mixed in a dirty way, with loadsa fx on the 303. The Connection Machine/Cray Emoticon is the multi-talented duo of Natasja Hagemeier and Jeroen Brandjes, who debuted on U-TRAX in 1993 with their instant classic and much sought after 'The Dreamtec Album' (catalogue no: 3 UTR UMM 1). They went on to create another epic release called 'The Black Hole EP' on U-TRAX (catalogue no: 5 UTR UMM 2), but not after they presented 'Bitflower', a true work of art on Planet E from Detroit. Later they released the CD album 'Painless' on Down Low Music and in more recent years two 12"s (shared with The Lost Trax) and an album on Tabernacle Records from the UK. The title track is originally meant as a replacement for the original game music of level 9 of the 2nd episode (E2L9) of the computer game Doom. The artists thought the original score wasn't doing right to the intensity of the game and made their own apocalyptic soundtrack. 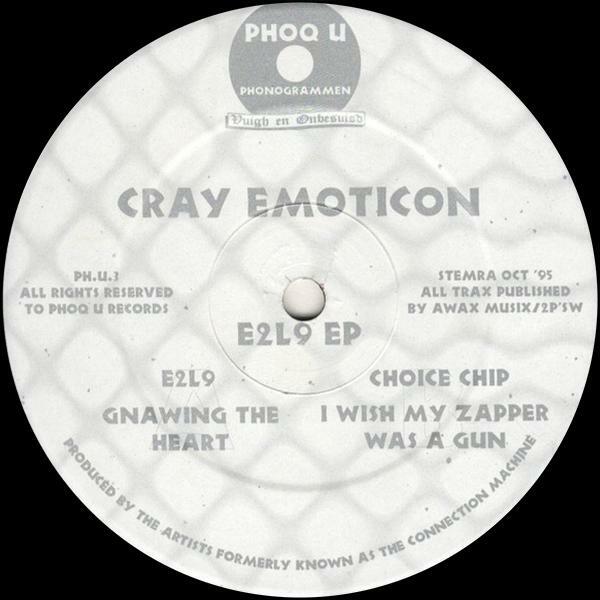 'Gnawing The Heart' already proved its usefulness on many a dancefloor, whilst 'Choice Chip' will satisfy the ultimate speed freaks amongst you. If you're not into drugs or mushrooms, 'I Wish My Zapper Was A Gun' can deliver you the same effects: it's a psychedelic space-acid trip, built around a sample of the sitcom 'Neighbours'. You can't get wrong with this vintage and merciless dance floor material from the mid-nineties. Original release date: October 1995.